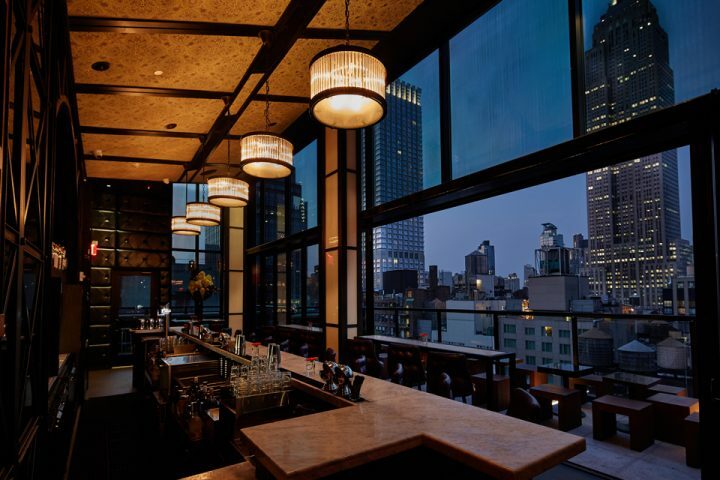 Summer months bring outdoor cocktail fans to rooftop bars and patio spaces in droves. 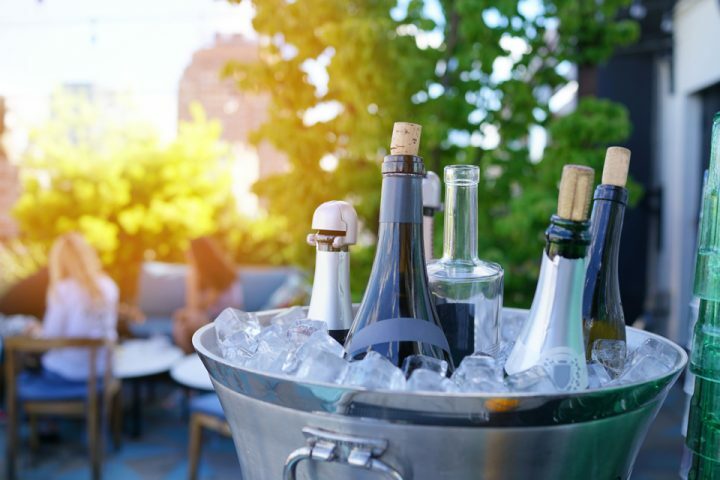 The desire during warmer months to ease work related tensions and forge new social relationships is ever evident atop Archer Hotel New York at Spyglass Rooftop Bar. As neighborhood temperatures continue to rise during August, more and more amusing drama and comedy plays out in Spyglass’s unique space-with-a-view. Click on the link above to see Summer Mixology in action, or try the recipe below at home. The energy here in The Garment District reminds us of “Steam Heat,” that number from the oft revived 1954 garment industry musical The Pajama Game. Remember the employees in the pajama factory sneaking off to Hernando’s Hideaway for cocktails and some intrigue at the end of their shifts? Take a ride up the elevator to Spyglass and cast yourself in a live 2014 version of that plot. 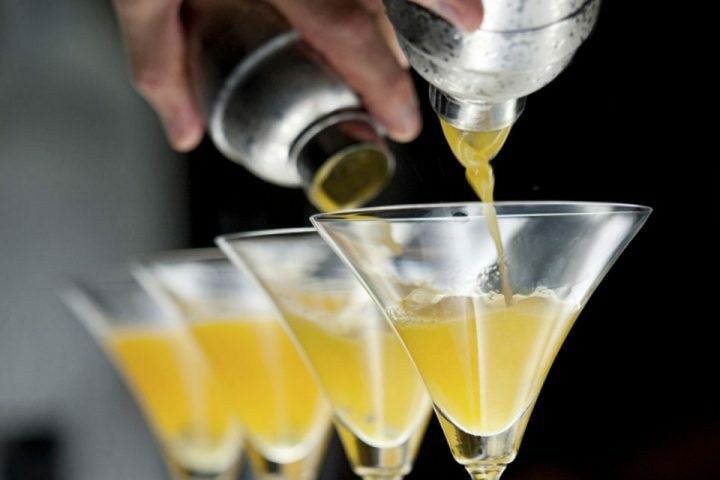 While you’re still stuck in the office, keep reading to check out how Mixology in NYC has become part of social connection. Our earlier crowd is an after work crowd coming to relax before heading home. The couples come in later, to enjoy the view and a refreshing cocktail. I see people meeting for the first time here at Spyglass and know that the romance of our view is contributing to their chemistry. One guy came in and said that he was wanting to take a co-worker out for about a year and she finally said, “yes.” He was waiting nervously for her to arrive for their first date. She finally appeared and the guy was clearly relieved and excited. We supplied the champagne and this spectacular view – the rest came naturally. This Summer cocktail is a play on a Mojito with a smokier, more intimate flavor which comes from the type of rum I chose. The cucumber returns a traditional Mojito freshness to the drink. 1. 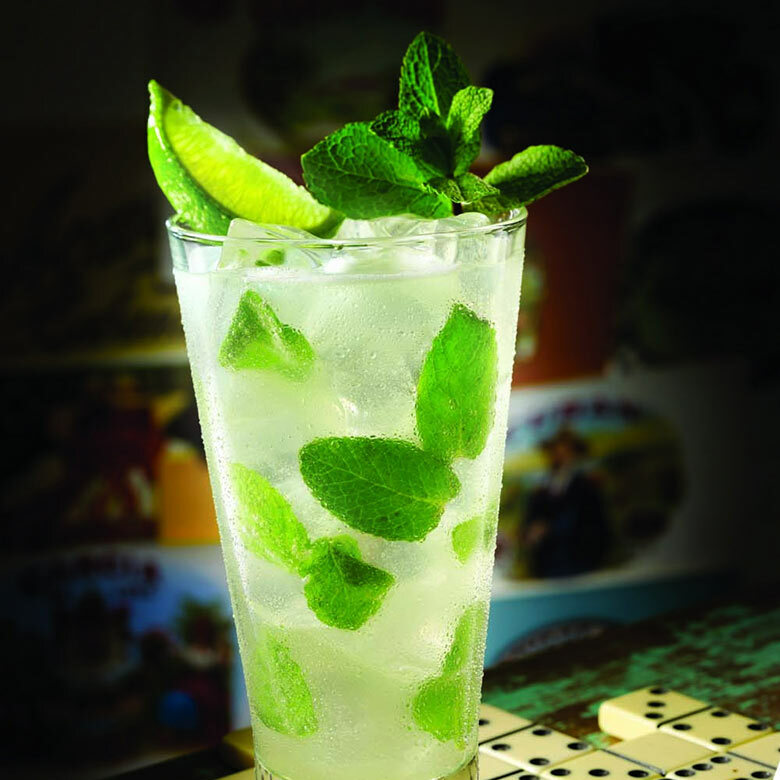 Muddle the Lime Juice, the Simple Syrup and the Mint, and a slice or two of cucumber in a 10 ounce High Ball glass. 3. Add the Union Uno Mezcal. 4. Fill to top with Club Soda. 5. Roll the glass and then garnish with a slice of cucumber.